A yellow weather warning for snow, possibly heavy, has been issued by the Met Office for Banbury and the surrounding areas. From 9pm on Tuesday to 12pm on Wednesday, snow is predicted which is expected to turn icy for London and the south east. 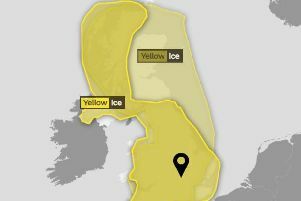 The Met Office is warning of a small chance of travel delays, rural communities being cut off, power cuts, injuries from slips and untreated pavements and cycle paths becoming impassable due to black ice. The website says: “A band of rain pushing east across parts of England is likely to turn to snow during Tuesday evening, with snow continuing into Wednesday. “Accumulations of 1-3cm are likely quite widely, with accumulations of 5cm in places. “There is a small chance that some areas could see up to 10cm, more especially over the higher ground. 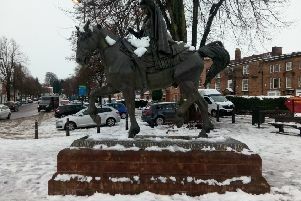 Check school websites and the county councils’ school closures pages online to check if they are open after the snow, should it come.